When thinking about simulation and storytelling the most obvious place to go is to games. Games today can simulate any kind of environment, real or fictional and they allow players to be fully immersed in that environment. Gaming site Raptr lists the top games of 2015 Raptr list of most played games 2015. I’m not a gamer but a quick check of this list shows that most of these are battle, warfare type games tha t are the provide a high quality immersion in a simulated world. But what if you’re not a gamer? How can simulations be used to enhance storytelling? The areas where I am most likely to engage with simulation would be in an interactive map or video. 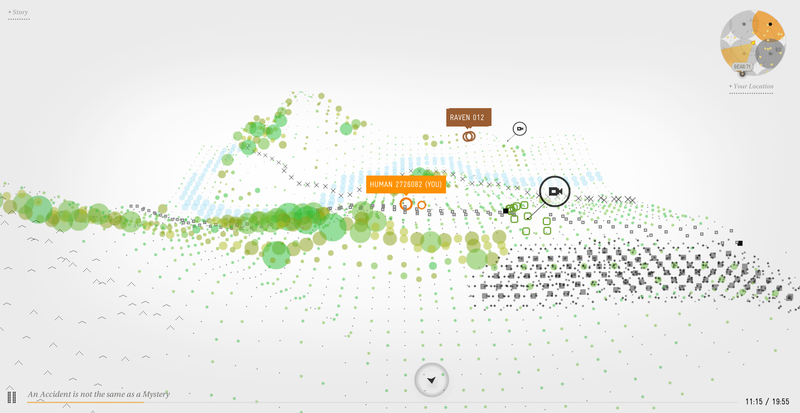 An example of an interactive map used for digital storytelling is Brèves de Trottoir (2010) created by director Olivier Lambert. This web documentary uses multimedia to capture the stories of the street artists of France. They utilise audio, still image, text and video, as well as in interactive map that allows users to select which artists they want to find out more about. 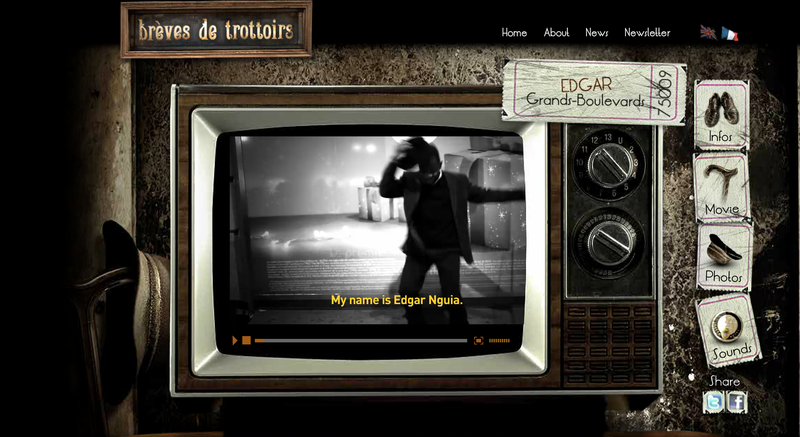 Users select a person to explore, such as Edgar and can interact with a range of media about that person. 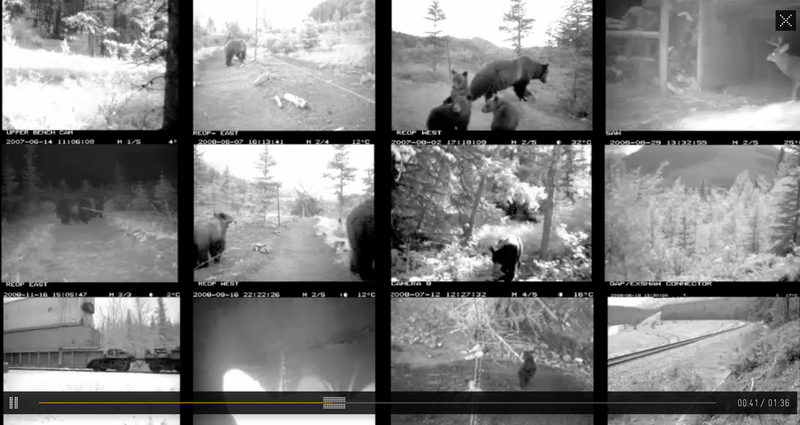 Another example of an interactive map being an integral part of the 2012 web documentary is Bear71, a production by the National Film Board of Canada. The user interacts with the map engaging with range of media including webcam footage from the Banff National Park put together by Leanne Allison and Jeremy Mendes. The National Film Board of Canada has made some of the best interactive documentaries I have seen and this includes one I have come across in my research for my webdoc on homelessness. Here at Home is a major work and like the previous two examples the navigation for this work is based on a simulated map of Canada. 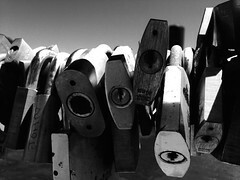 Users can choose which major city they investigate and within that what information they want to find out or what stories they want to listen to. “…provide the foundations for plotting web documentaries or transmedia stories; an interactive pinboard for plotting out photographs video and various media. In the case of web documentaries, they can provide an almost literal roadmap for the narrative, guiding the viewer through the story while still giving them enough freedom to discover the different media on offer for themselves”. Once you start exploring there are interactive maps being used in a wide range of ways to tell and share stories as well as information. 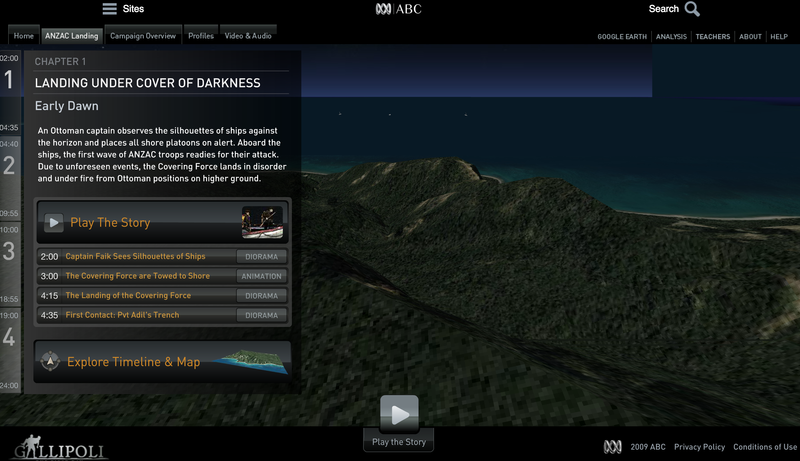 The ABC created Gallipoli: the first day an interactive map to help people explore day one of the Gallipoli campaign in World War 1. The producer Meena Tharmarajah visited Anzac Cove and realised that understanding the actual terrain added significantly to understanding the story. Turkish maps from 1916 were used to build the 3D map. Stories are animated with models and voiceover. 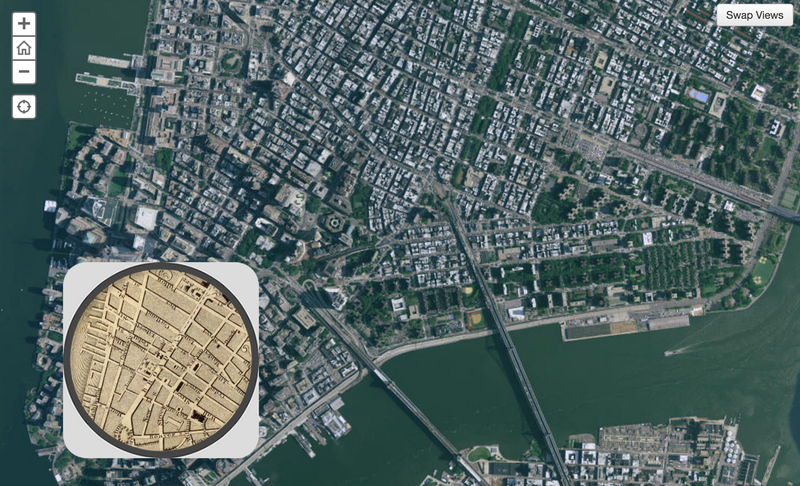 Finally, this project from 2010 is one that draws heavily on UGC and interactive mapping. Mapping Main Street is a collaborative documentary media project that creates a map of the United States through stories, photos and videos recorded on actual Main Streets across the country. The creative team drove across the country recording main streets but also called for people to add their main streets to the story. It is clear that interactive maps have become an integral and powerful visual tool for creating web documentaries and for capturing stories both current and historical and their relevance should be considered at the development stage for any digital story project. For my digital narrative project exploring homelessness we have discussed the value of a map to locate people and stories (similar to Here at Home). We would need to consider if this was a project specific to Melbourne or Victoria as a map would definitely locate the project. While there could be value in doing this our feeling at this stage is that we will not have a large number of stories to justify a map and we may not want to locate on a map places where people are finding shelter. I also feel that this isn’t a geo-located story, it’s a story of making the invisible experiences of homelessness visible. As part of this exploration we are considering including user stories as part of the website and the Mapping Main Street project I mentioned above has a useful Participate page that talks users through how to upload their pictures, video and audio content. While this project was made in 2010 this is a useful example of how to provide simple and clear information to participants uploading content.